Not that long ago, installing a multi-room home audio system would have required a lot of wires, a lot of mess, and a lot of hassle. Technology continues to meet at the speed of light and now allows us to install wireless systems that can match almost any design you need for your home. In fact, Maddox AV in Anne Arundel partners with clients to design the high-end home audio system that meets the individual needs of their home. Learn some of the benefits of installing a high-end home audio system and then contact us to schedule your free design consultation. 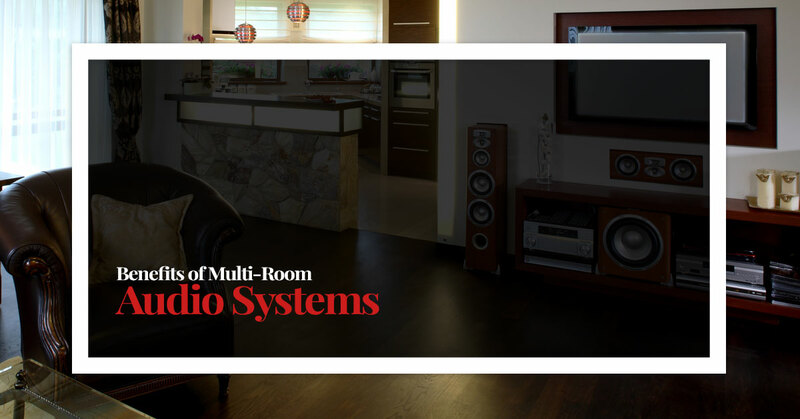 One of the benefits of a multi-room audio system in your home is that you can decide exactly what you want. Do you want whole-home setup, just a few rooms, or a certain side of the house? What you want depends on how you plan to use your system as well as what works for your family. Your needs and desires are unique to your home, so why would you hire a company that does cookie-cutter installations? When you consult with Maddox AV, we will bring our years of experience working with high-end homeowners to bear and create a design that will be sure to satisfy every item on your list. 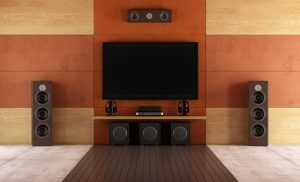 Depending on the system that you choose to install in your home, you could opt for basic features that simply allow you to choose the volume and station, or you could choose to have a high-end home system installed. These types of systems are intuitive to the needs of your family, as well as adaptable to a number of different streaming systems, and as a result, they have a greater advantage as they can access endless music possibilities from the cloud. Depending on the zone setup that you choose, you can direct music to a single zone or multiple zones. Multi-room audio is an excellent solution for homes with kids! If you have children, then you have probably discovered that your taste in music is not shared by them and vice versa. Installing a high-end home audio system allows each of you the freedom to listen to the style of music that you prefer without inflicting your choices on the other members of your family. This will come in extremely handy if you prefer listening to rock bands from the 60’s and your kids prefer listening to modern pop music. Maddox AV is able to design the perfect high-end home audio system for your family. Call us today and find out what we can design for you. This is a wonderful feature that allows you to continue listening to your music as you exit your vehicle and enter your home. Essentially, your music follows you into the house so that you don’t have to choose between turning off your favorite song just because you pulled into the driveway, or sitting in your car until the song finishes. You can continue to listen to your music, or favorite talk show without interruption. When you are ready to learn how a high-end home audio system can be designed to the specific needs of your home and family, contact Maddox AV in Anne Arundel to schedule a design consultation and learn how we will make your dreams a reality.